Vascular and Endovascular Institute of Michigan Blog What is a Skin Tightening Procedure and What Can It Accomplish? Our skin tells a story. It shows what we’ve been through in life. Whether it’s the appearance of fine lines or wrinkles as we age or scarring from something we experienced in our youth, it can be difficult to deal with these imperfections. Even if you take great care of your skin, it’s hard to hold back the hands of time. Many of the imperfections you see on your skin, whether it’s the face or somewhere else, has to do with a decreased production of collagen. Collagen is the protein that regenerates the skin and it keeps it tight looking. As we age, we produce less of it. That’s how lines form. With laser skin tightening, you can jumpstart the collagen producing process again. Lasers aren’t the first technology used to tighten the skin, though. Here is what you need to know about skin tightening. When looking for procedures that can make you look younger and refreshed, options have been traditionally limited. For many years, plastic surgery was the go to solution due to the ability to pull back and tighten the skin in the face or neck. Fillers and Botox have also become popular over the past several decades. There are also creams available that tout rejuvenating benefits that tighten and nourish the skin. However, all of these solutions come with downsides. Some aren’t as effective as you would like, others are too temporary, and some require invasive, major surgery that requires long periods of downtime to recover from. Many people want the benefits of skin tightening without having to commit to anything invasive or that requires injecting foreign materials into their tissue. For those people, laser skin tightening is the perfect treatment because it actually uses your body’s own healing factors to smooth out your skin and reduce signs of aging. The skin tightening treatment is actually quite simple. During the procedure, laser energy is focused on the targeted areas. The fibroblasts into the dermis begin to start the production of new collagen and repair damaged skin cells. Because the laser energy stimulates an increased turnover in skin cells, damaged cells are replaced or regenerate at a quicker pace than they would typically. Laser skin tightening is perfect for nearly any part of the body, including the face. Any place where you feel like you would benefit from wrinkle reduction, the elimination of acne scars, diminishing of pores, and smoother or softer skin can be treated. This includes everything from the neck, to the arms upper arms and down to your legs. The best part is the lack of a need for recovery time. You can go right back to work or apply makeup as soon as you’re done with your treatment. Your face and neck can be treated in an hour, with larger areas of the body taking a bit longer. The only real potential side effect of laser treatments is temporary reddening of the skin where the lasers were used. By far the most fascinating part of the treatment is that the new dermal collagen produced by the laser therapy actually becomes part of the structure of the treated skin. Because of this, your results will last you awhile. It’s not unheard of to enjoy the results of your laser skin tightening treatment for years to come. The collagen production doesn’t just stop once you leave the office. It’ll continue to be produced by your skin for the next several months. While many people report noticeable differences soon after the laser treatment, most notice even more dramatic results in the weeks that follow as collagen production continues. You’ll notice fewer lines, wrinkles, and looseness. It’s important to note, however, that you are not immune to the factors that may have damaged your skin in the first place. For example, ultraviolet rays from the sun won’t only damage existing collagen, but your new collagen will suffer as well, which can reverse some of the results you’re enjoying. Be sure to wear sunblock regularly. You’ll also want to perform some upkeep visits. Four to six treatments spaced out two to four weeks apart seem to show optimal collagen production and results. It would be safe to say most people would love a chance to revitalize their skin and regain some of the youthful glow and firmness of years gone by. Until now, that was hard to come by. The only real solutions were specific types of plastic surgery, injectables, or expensive creams. Now, with laser technology, you can have longer lasting results without the need for painful procedures or long recovery times. If you’re interested in learning more about laser skin tightening and if you would benefit from the procedure, book an appointment online with us today. 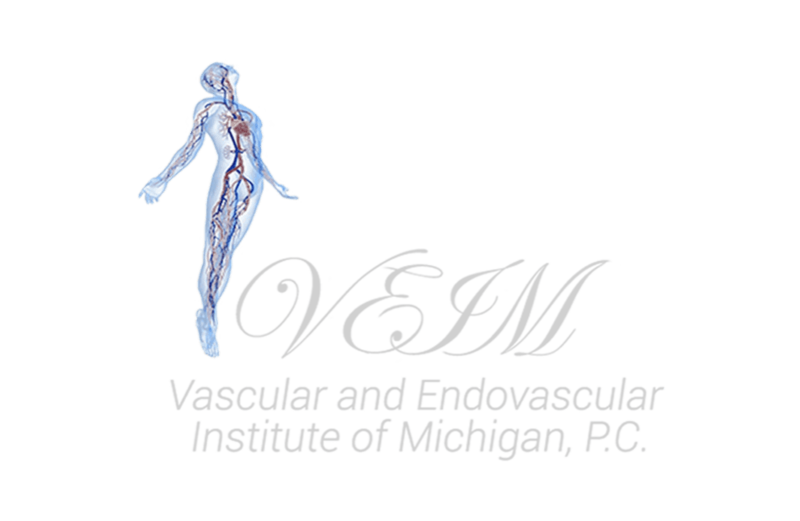 Dr. Rizk and the team at Vascular and Endovascular Institute of Michigan are here to provide you with the expert care and techniques needed to revitalize your skin.